Launched in late 2011 as a joint venture between Synensis (formerly HTT) and IDEAS, the StoryCare ® Performance Improvement System is designed to facilitate on-the-job continuous improvement. 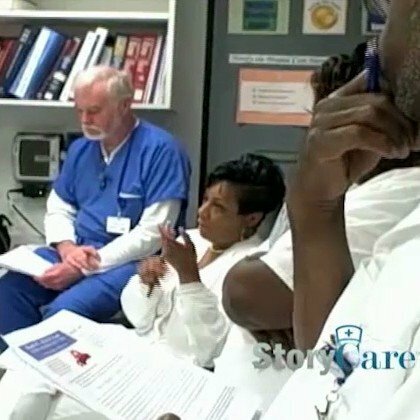 Through the power of story, the web-based library of case studies can be used individually or in team meetings to learn, practice, and “hard-wire” new behaviors for patient care. Integrated Insight helped Synensis / IDEAS to understand the current competitive landscape of products that are being used for learning and development or to continually improve HCAHPS scores. We also tested the viability of StoryCare ® as a standalone product with specific emphasis on the patient experience and patient satisfaction. Results diagnosed current barriers to engagement as well as design and marketing specifications to make the product more viable in a highly competitive environment.